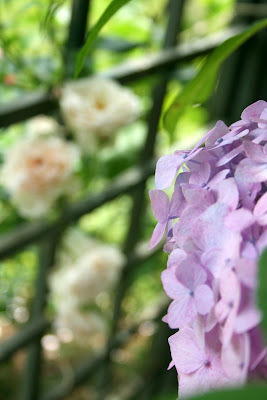 It is another beautiful summer day here and we are busy getting ready for the garden tour tomorrow. 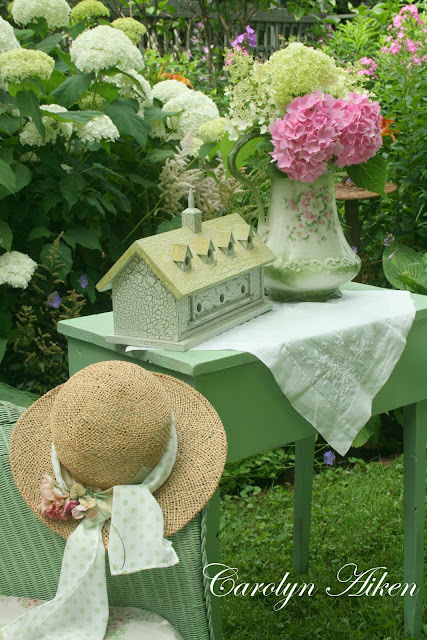 I have been setting up all my little props to give the garden more interest. 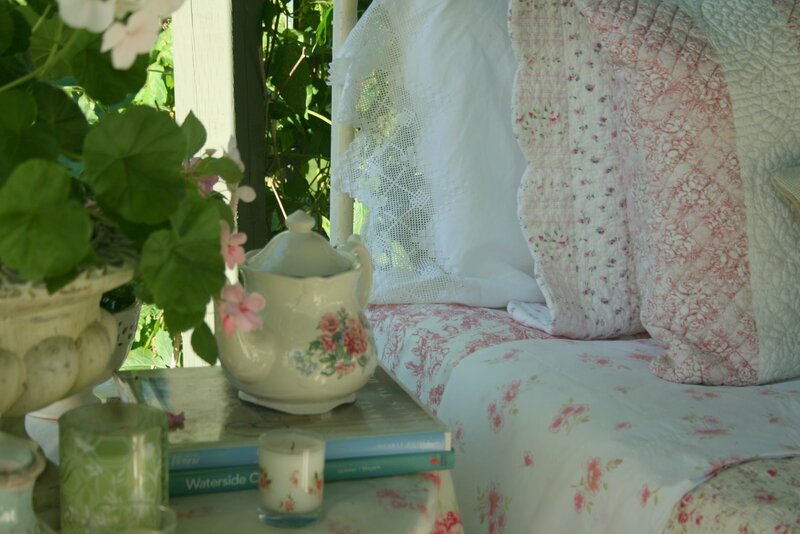 I am hoping it doesn't rain overnight but it is supposed to be a lovely day again tomorrow. 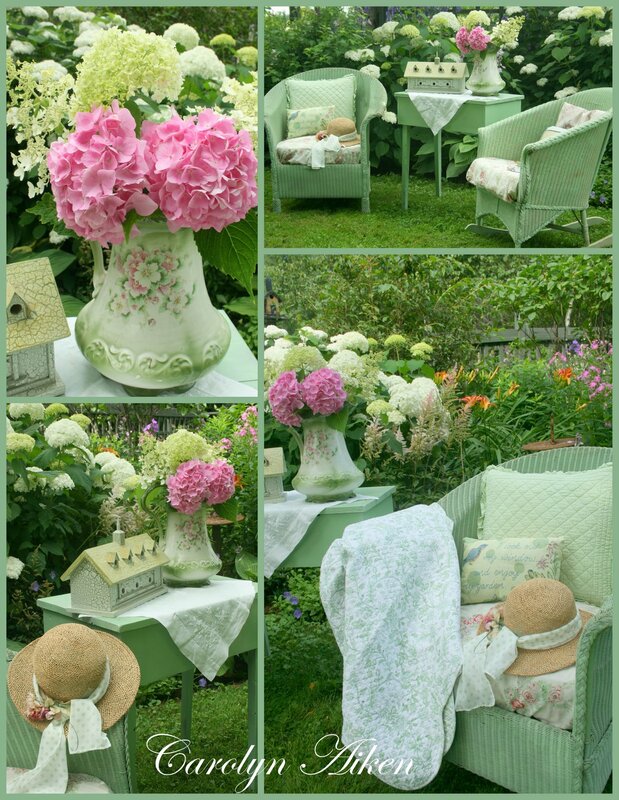 Anyway, in the process of setting up a nice little spot for people to sit and enjoy a glass of lemonade and cookies I thought you might enjoy a little break too. Hope you enjoyed my going green and have a wonderful weekend. How I wish you could all come and enjoy our garden tour tomorrow! 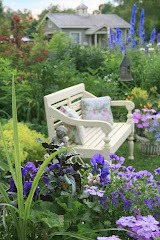 I will take you on a photo tour of the garden soon. 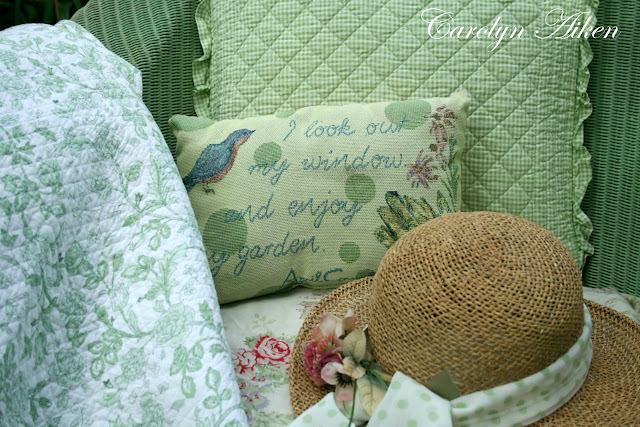 I am joining in Show & Tell Friday at My Romantic Home again today- lots to see over at Cindy's again. 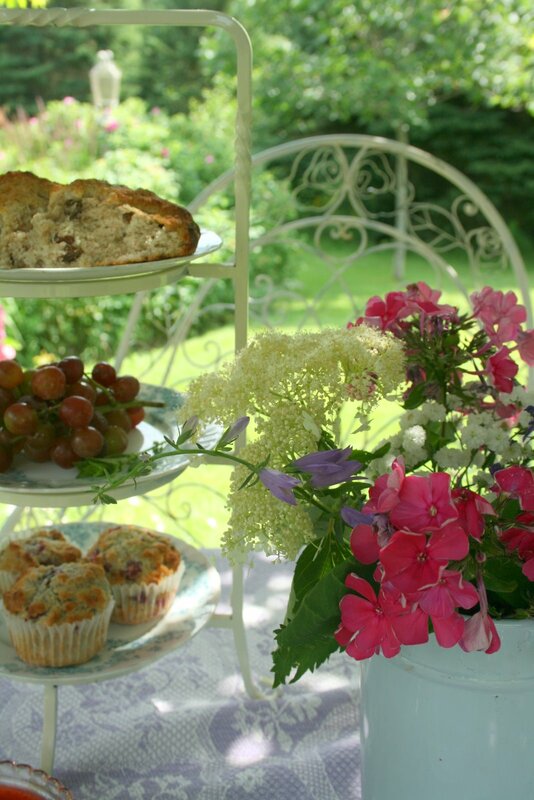 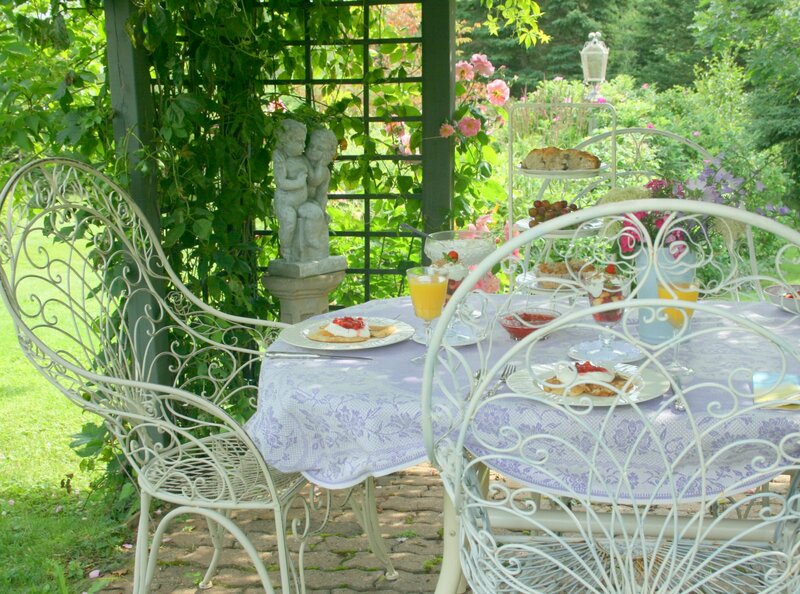 In the summer we eat almost all of our meals outdoors and one of my favorite spots is in the garden terrace. 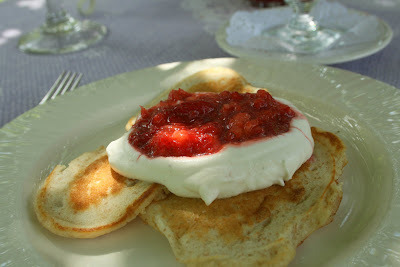 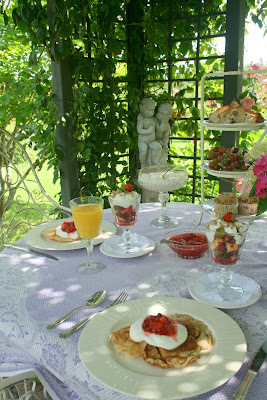 A few days ago I took some photos of our pancake breakfast to share with you. 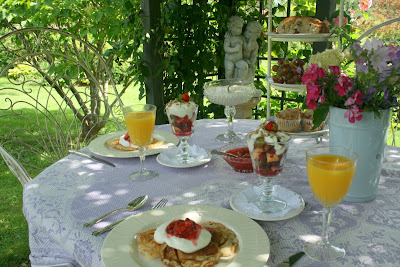 I didn't spend a lot of time on this so it is a plain and simple meal but the setting makes it special to us. 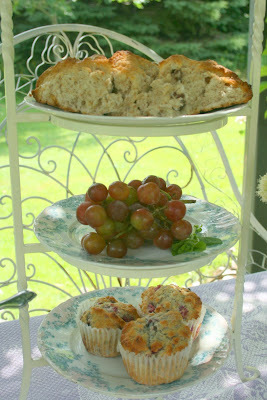 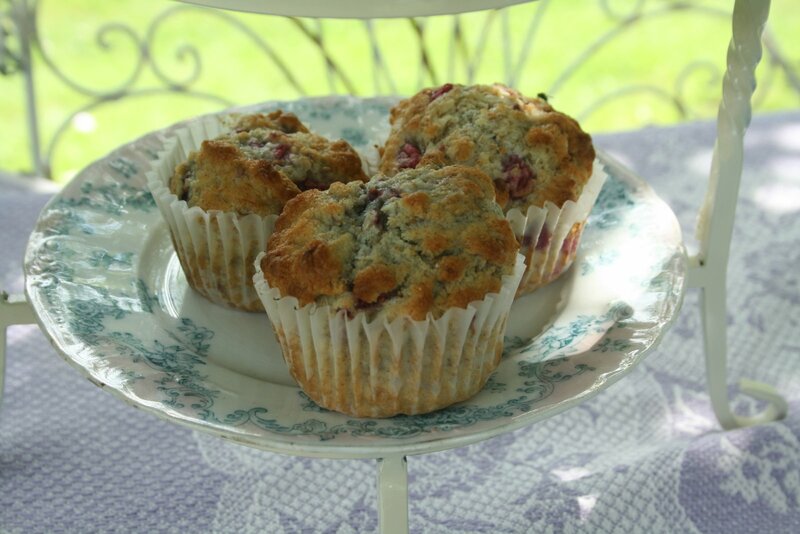 I made raisin scones and raspberry muffins. Crushed Island strawberries and fresh whipped cream on top of pancakes is oh so good. 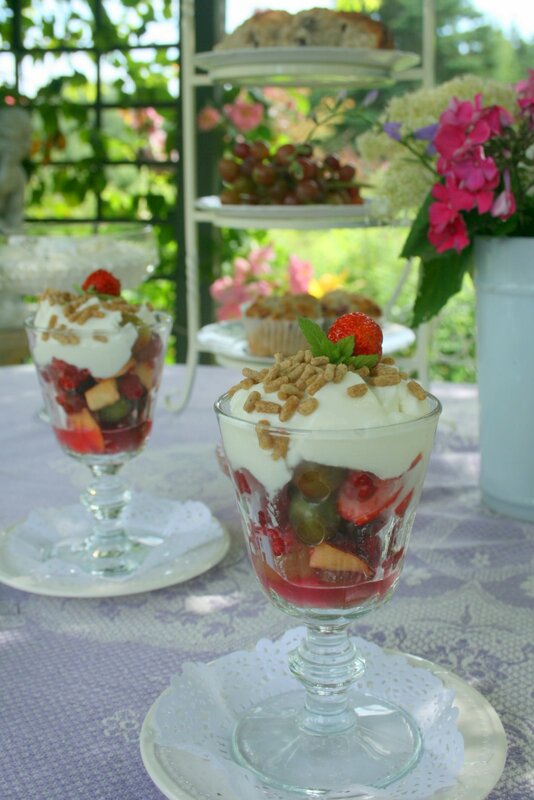 Fruit salad and plain yogurt topped with phyllsum is healty and good. 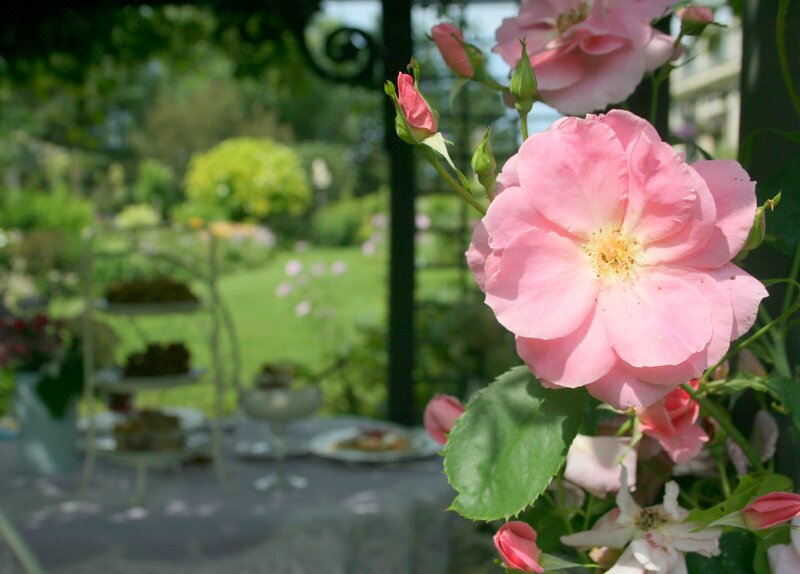 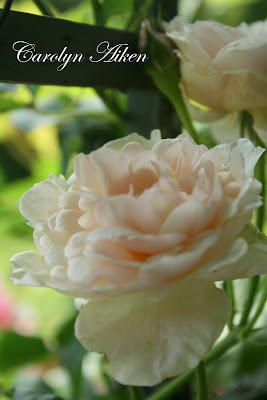 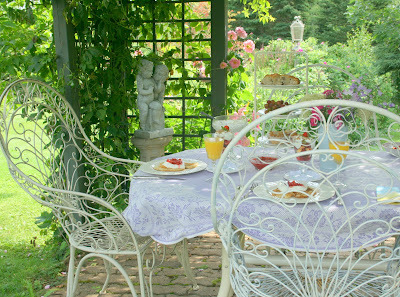 While we sit and enjoy breakfast it is lovely to enjoy the surrounding beauty.This rose is Antique. 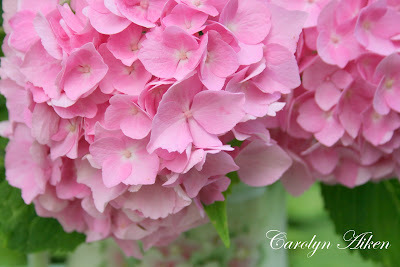 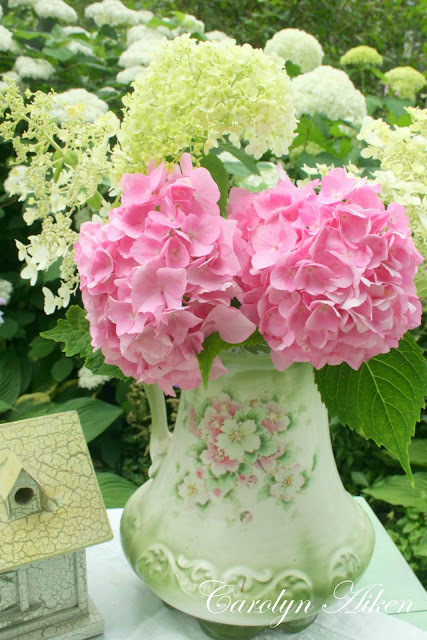 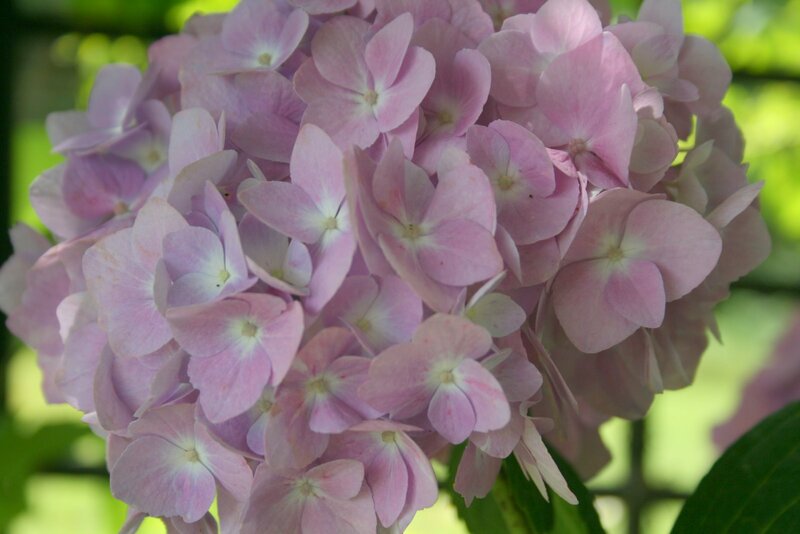 An Endless Summer Hydrangea is in a large pot in the terrace. 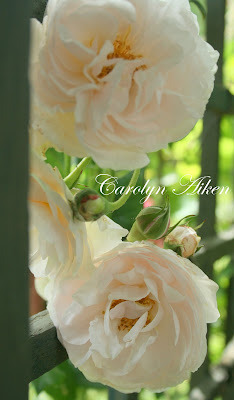 The Prairie Princess rose climbs on one side. Well, I hope you enjoyed our breakfast in the terrace. 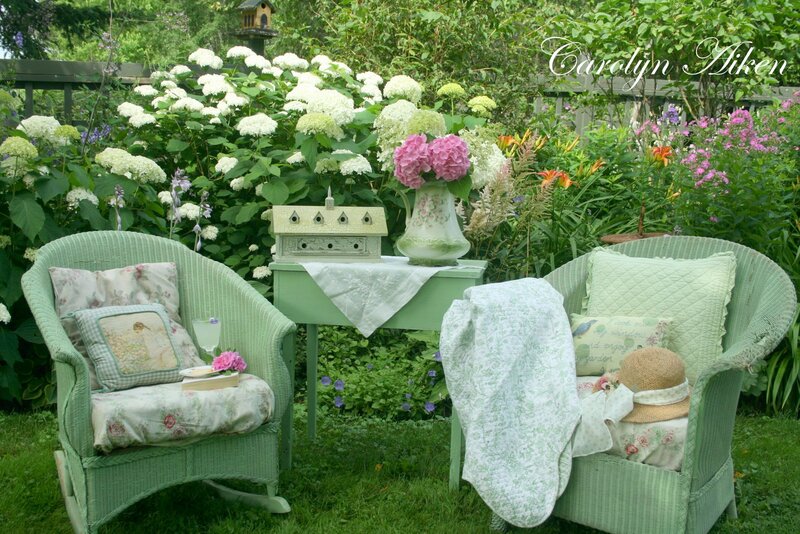 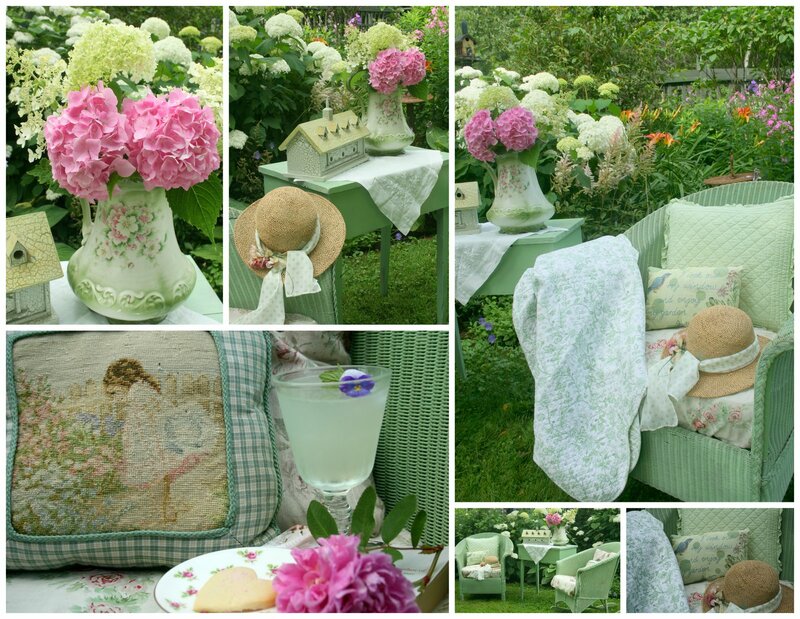 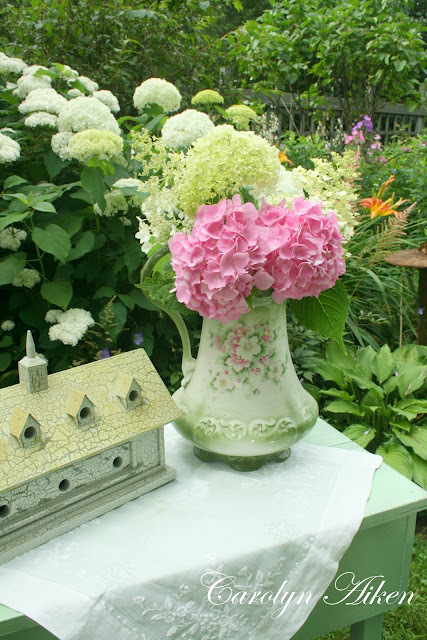 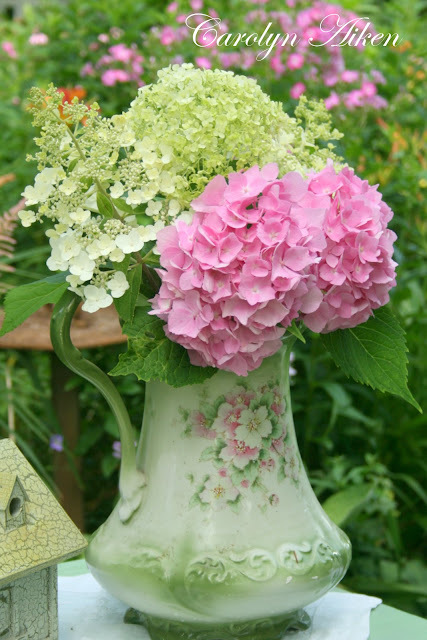 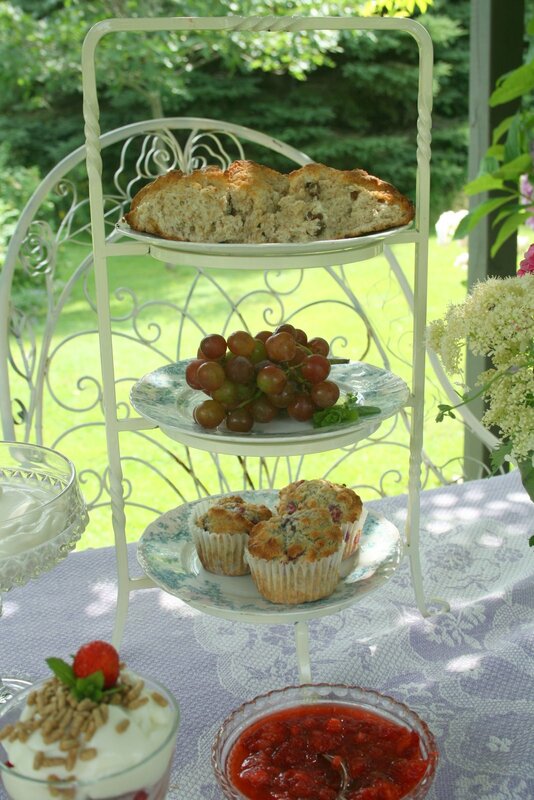 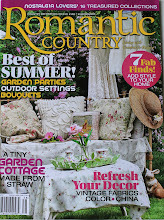 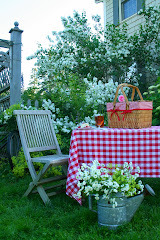 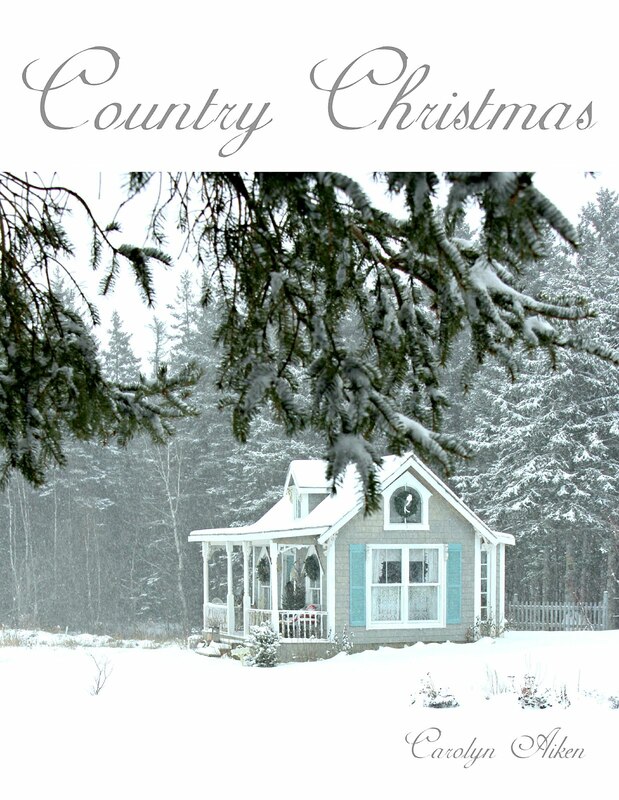 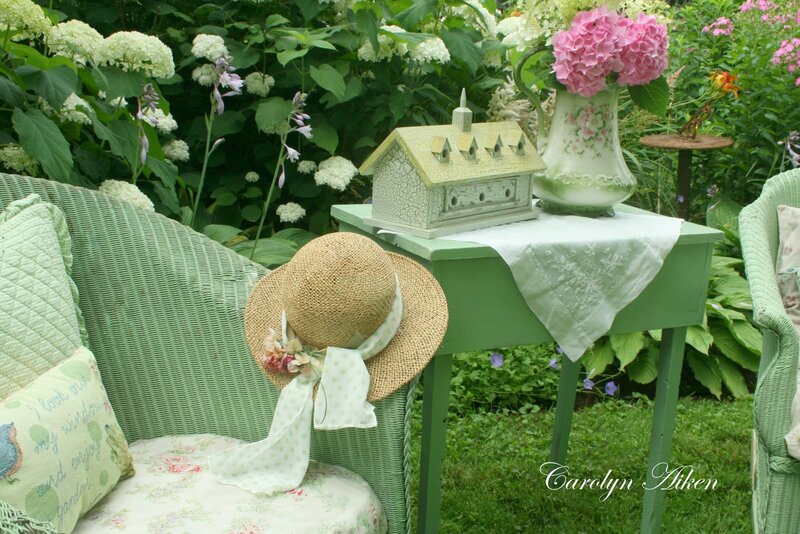 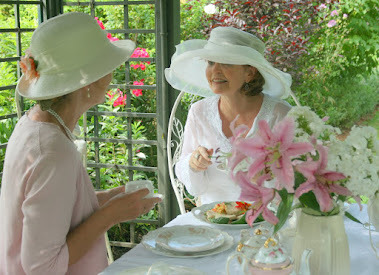 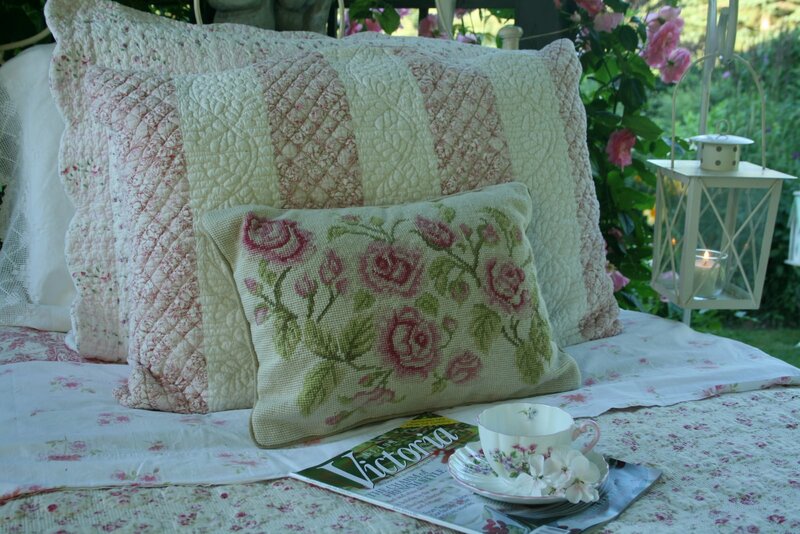 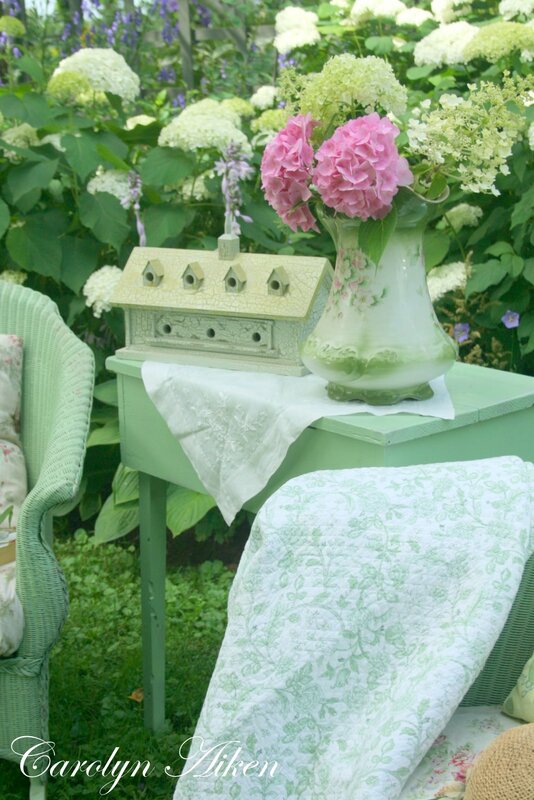 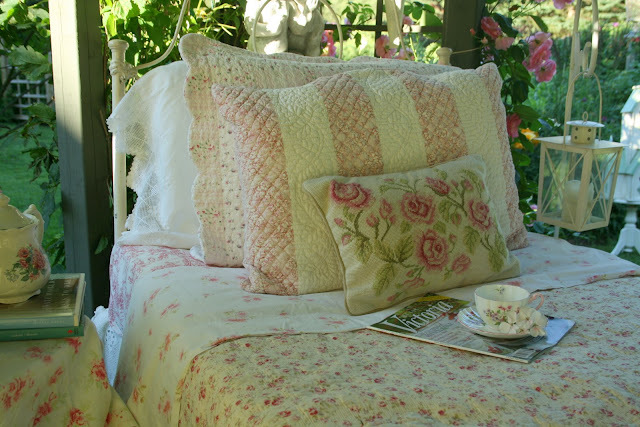 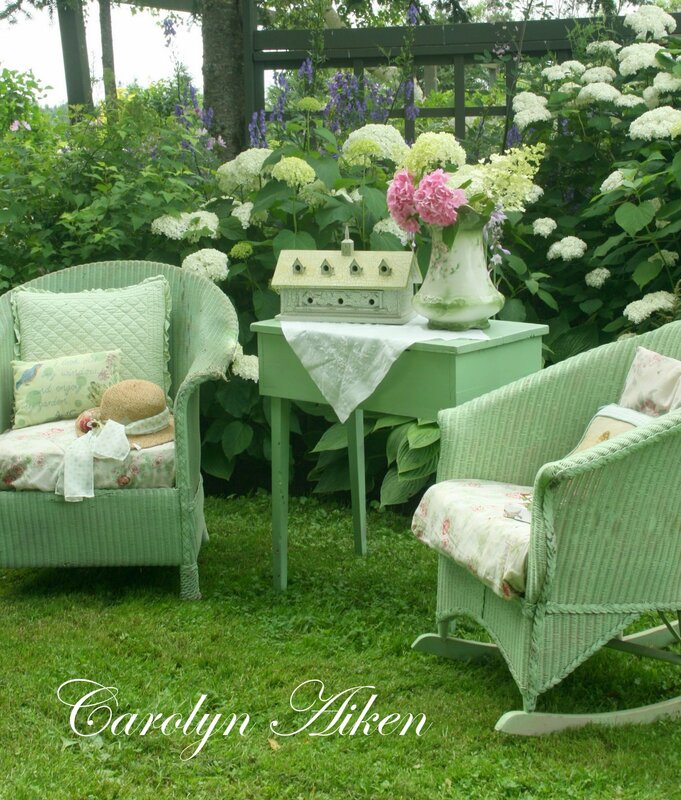 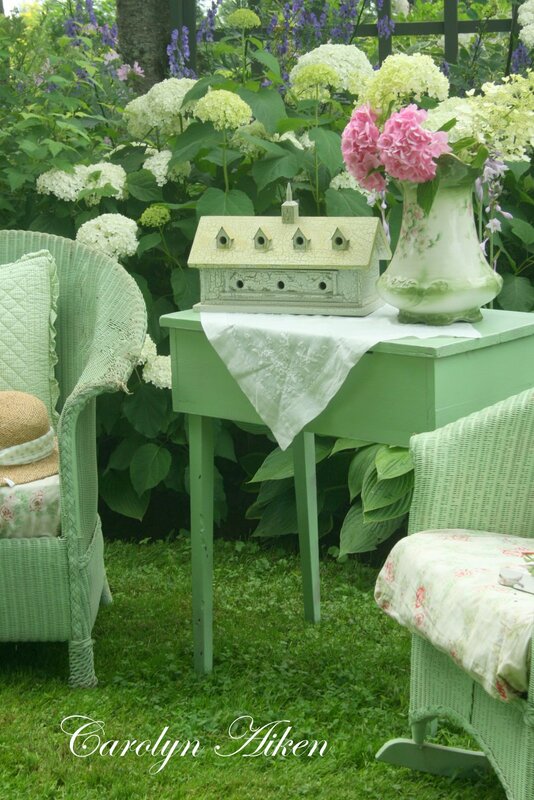 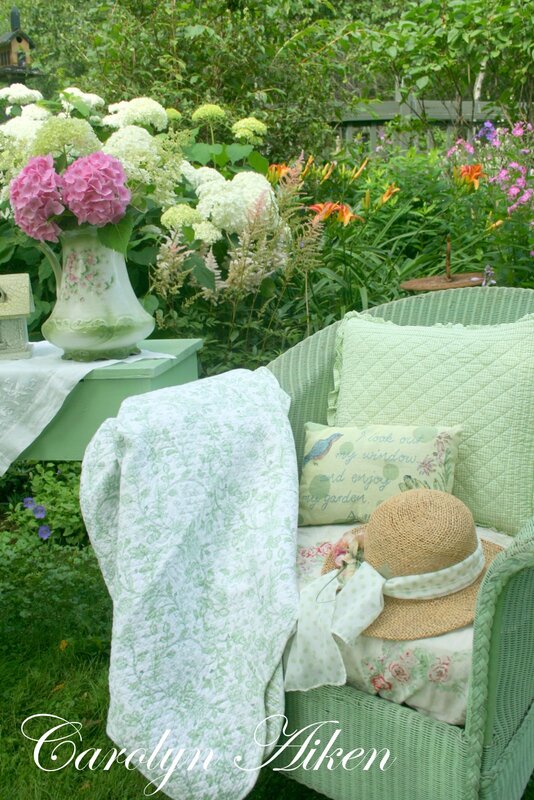 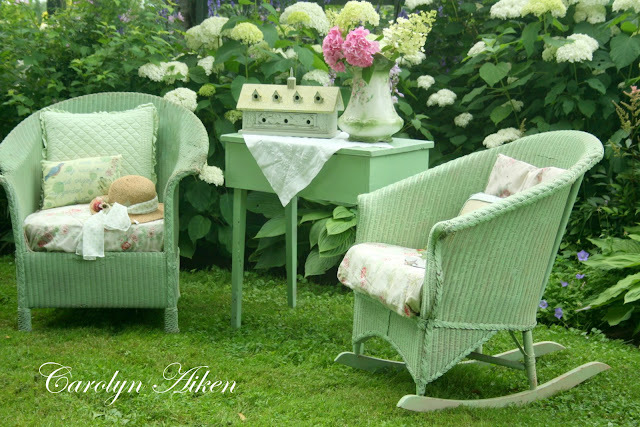 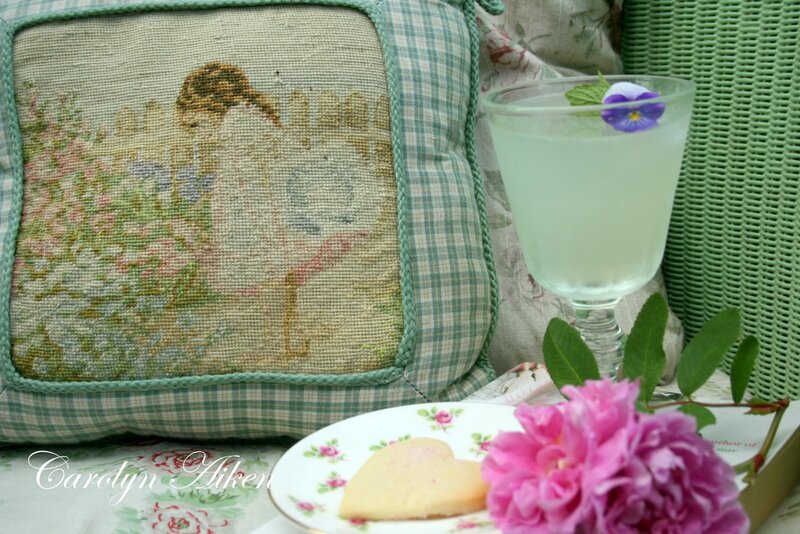 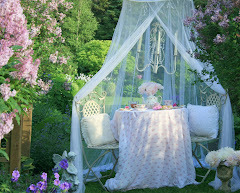 I am joining Susan at Tablescape Thursday today our at her lovely blog Between Naps on the Porch. Lots of lovely tablescapes to see today! 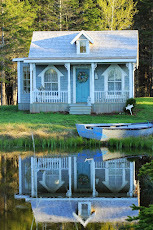 We are having a lovely summer here on the Island but it is hard to believe summer is half gone already. 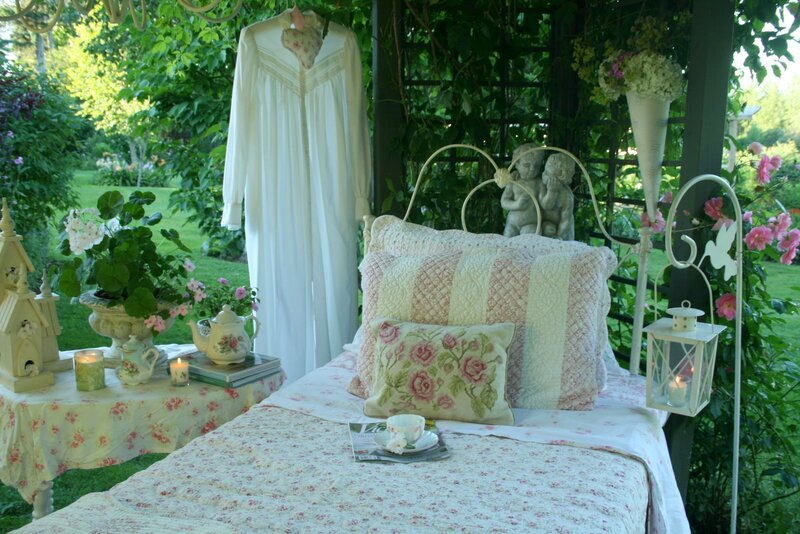 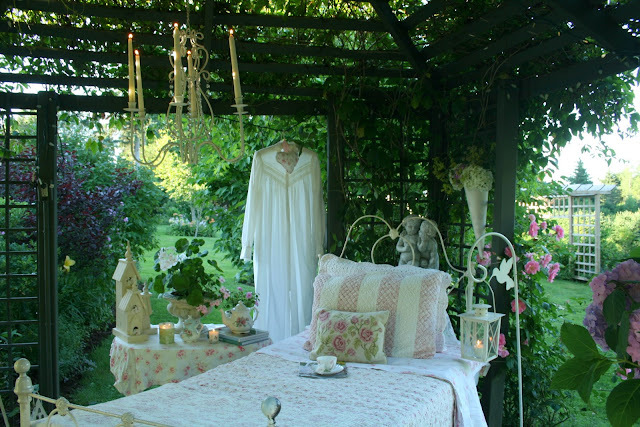 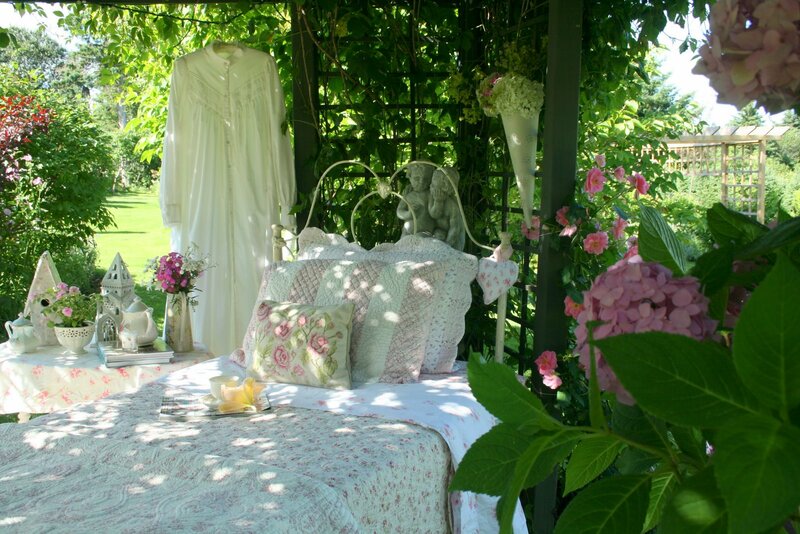 So to celebrate our warm summer nights I have created a little spot for you to relax and enjoy a mid summer nights dream! 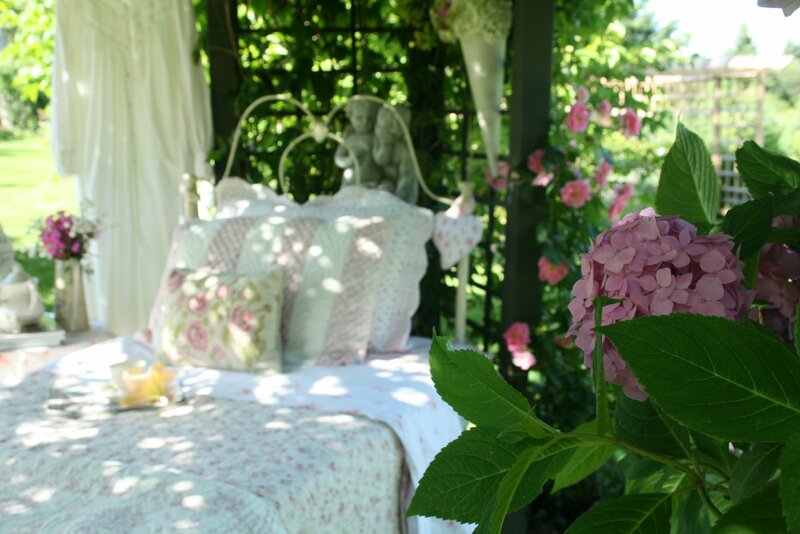 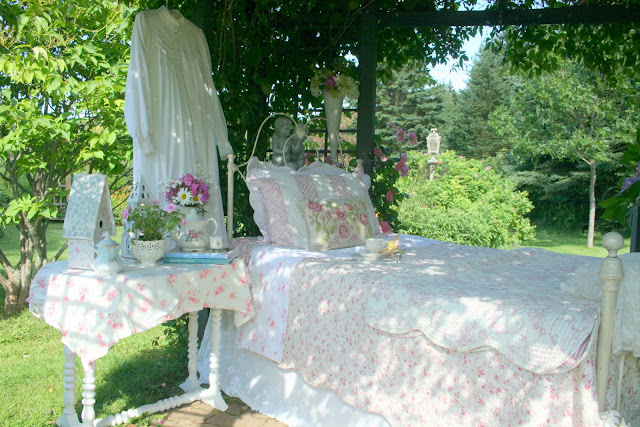 The iron bed from the veranda has been moved into the garden terrace just for you! 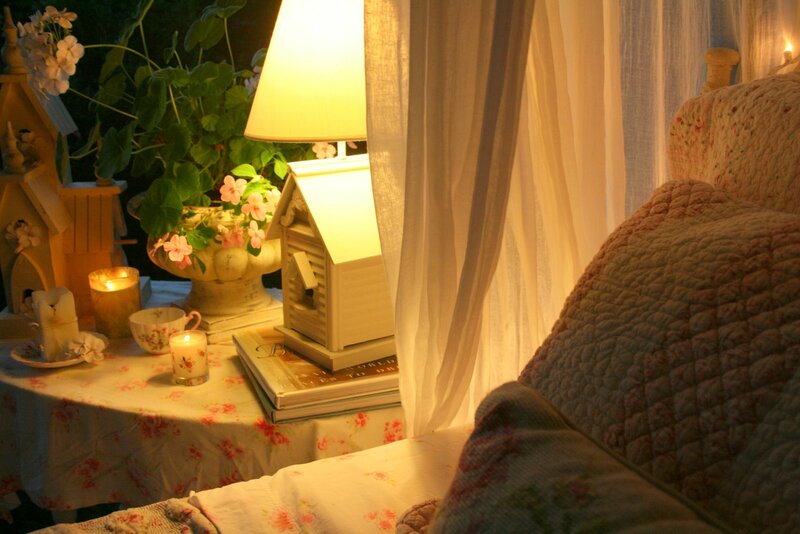 It is only afternoon yet but what a nice place to relax with your favorite book or magazine and a cup of tea. 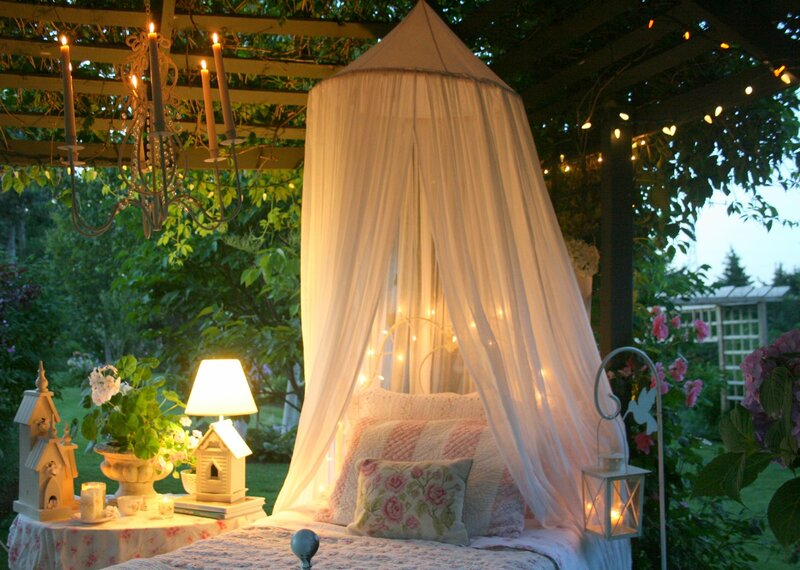 There is some quiet background music playing and a gentle Island breeze. 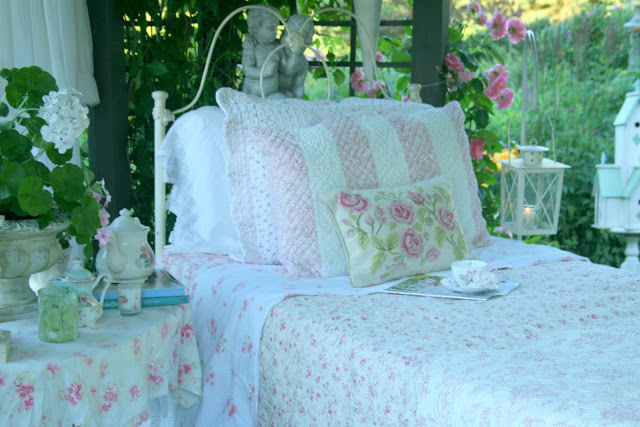 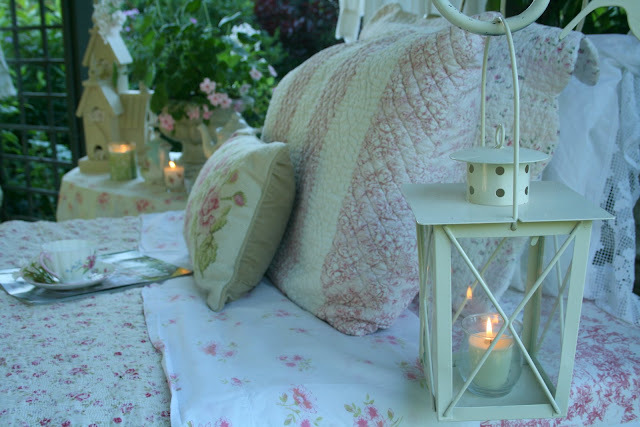 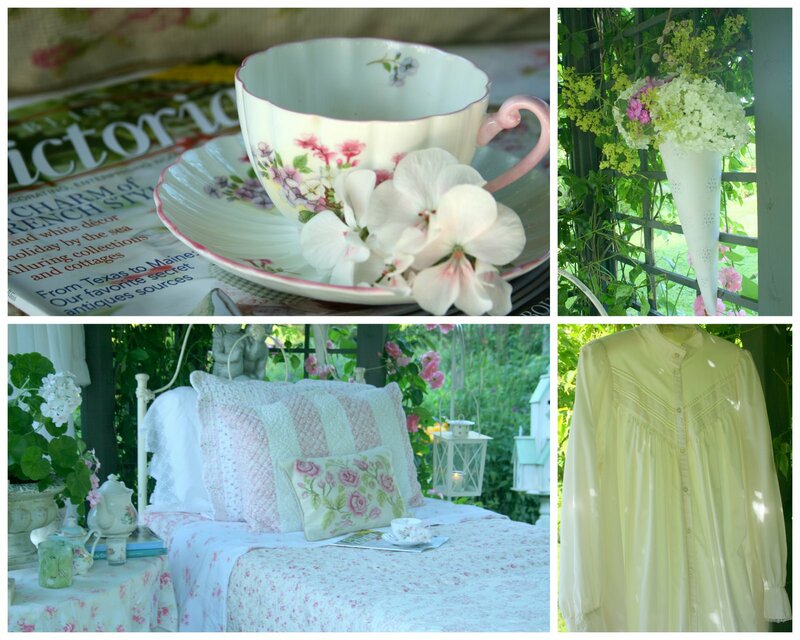 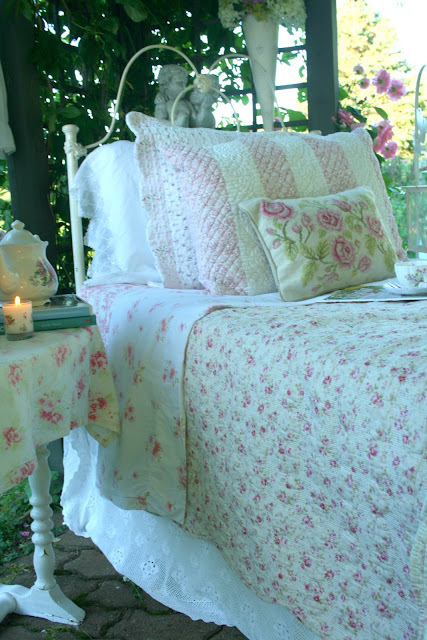 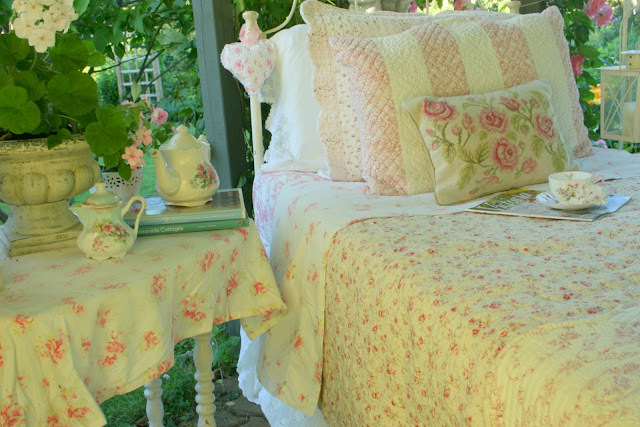 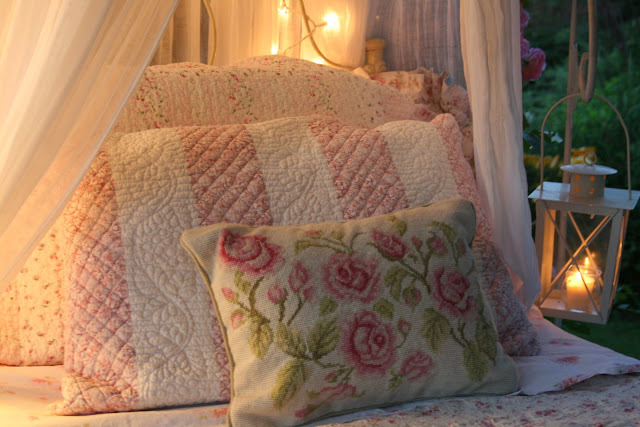 I gathered up some pretty linens. As evening is approaching I lit the candles for you. 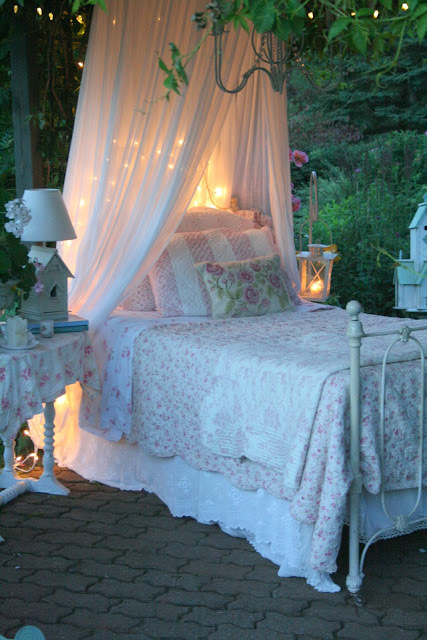 It is getting dark but the moon is rising and the fairy lights are on. 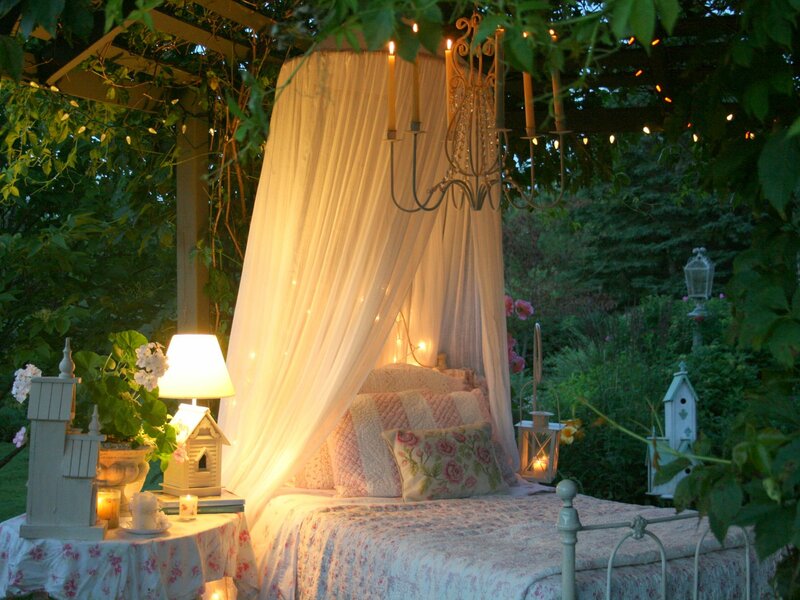 You even have a candle chandelier. Well, look at that it is morning already and another beautiful sunny day. 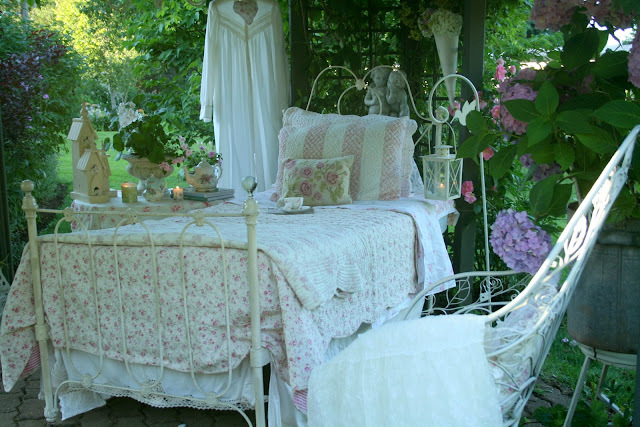 I hope you enjoyed a beautiful mid summer night's dream. Thank you to all who have visited me and left such lovely comments-I am sorry I have not got back to all of you(not only is summer too short but our days too!). 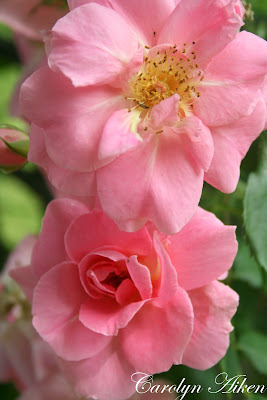 Also, thank you to all of you who have become followers as well-I really appreciate your visits. 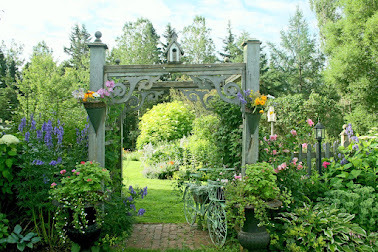 I would like to mention again that we are hosting a tour of our garden for any of you who can make it. 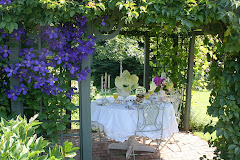 The tour is this Saturday from 2-4 . All the money raised goes to Muscular Dystrophy Association of P.E.I. and tickets can be bought at the gate. 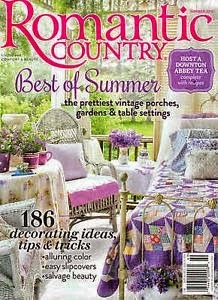 If anyone is interested and needs more info you can email me.